When it comes to a healthy running routine, using the right type of shoes is as essential as the activity itself. However, picking the right pair can be easier said than done. Wearing the wrong shoes for running can result in needless pain and injuries. It is essential to choose the right kind to avoid injuries to the feet and ankles. Additionally, the right type of shoes for running could make your run more comfortable. The American Orthopedic Foot and Ankle Society recommends runners and athletes wear the right footwear to avoid injuries as wearing the wrong type of shoes for running is a common cause of feet and ankle problems. Wearing a pair of shoes that’s smaller than your actual size could bruise your toes. It also causes blackening or loss of the nails (Cedric Brayant) . These injuries indicate that the shoe is either too tight or too narrow around the toes. If this persists, the individual may incur painful corns and the skin hardness around the toes and could result in ingrown toenails. Shoes for running that are too big or are not supportive enough cause the muscles at the bottom of the foot to tighten with every step. The muscles respond in this manner as they try to keep the shoe from sliding or slipping off. In severe cases, the bottom of the feet begin to tighten and the heels become inflamed. This sets a stage for an overuse injury such as plantar fasciitis and this causes the tendons to become chronically inflamed. If you suffer from these injuries, your shoes are rubbing on your feet and toes the wrong way. Often, this has been attributed to narrow and tight shoes. The pressure and friction that result from wearing narrow and/or tight shoes could easily lead to blisters, bunions, or painful corns. If your shoes for running have no room for your toes to move, then you should avoid using them for running or for anything else. You should be able wiggle your toes easily. As the day goes on, and as you go about your routine, your legs and feet tend to expand and swell. Wearing shoes that are tight could result in pain at the end of the day. Shoes should be changed after they’ve put in about 400 miles. Wearing shoes for a long time causes them to wear out. As a result, they do not provide sufficient comfort and cushioning when running. Creases and flattening of the sole are signs of old shoes. Shoes should enable you to walk normally and run as usual. If your shoes cause you to change your running style, then you need to reconsider them. They could be causing pressure on your tendons and ankles, thus causing you to adjust the way you walk or run. If a shoe is too small, the user puts too much pressure on their toes. This causes the nails to blacken or in some cases result in loss of toenails. Separation of the person’s nail from the nail bed is followed by bleeding, discomfort, pain, infection and even disfigurement. If after running, you notice some wetness in the shoe, then it means they’re inappropriate. This is often due to sweating as you go about your exercise. The dampening of the socks shows that the shoes are too tight and do not provide space for ventilation. 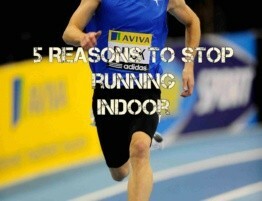 It could also be a sign that your shoes for running are old and water is seeping in through the shoe. Excessive wetness can result in rashes and blisters. 1. When looking for the right shoes for running, try one in the afternoon, evening, or after a workout. It is said that the feet has fully expanded to their size during these times. Trying shoes with sports socks also ensures a good fit. 2. Leave an inch between the big toe and the tip of the shoe to allow your toes to freely move inside the shoe. 3. Your chosen pair of shoes for running should be able to take on long mileages and should be durable. Consider factors such the durability of the materials used. 4. A force plate assessment could help you find shoes for running that don’t just fit perfectly but also meet your unique needs. 5. Never use a new pair of shoes for races. The shoes should have already been used for at least 100 miles before you decide to use them for a race. 1. Support: The shoes should have sufficient cushion and provide support for over-pronation. 2. Lightweight: Your shoes for running should be lightweight to help runners endure long distance runs. 3. Flexibility: The shoes should be flexible to allow the foot to move in any manner it wants. The general rule of thumb offers that the stiffer the foot, the more flexible one wants their shoe to be to encourage movement. If one’s foot is too flexible, they should consider shoes that provide rigidity to enhance stability. 4. Enhanced Cushioning and maximum responsiveness is another factor that makes a shoe perfect for sports. One of the things you have to decide on when buying a new pair of running shoes is the distances you will be running. Knowing what you’re training for helps you narrow down your options. 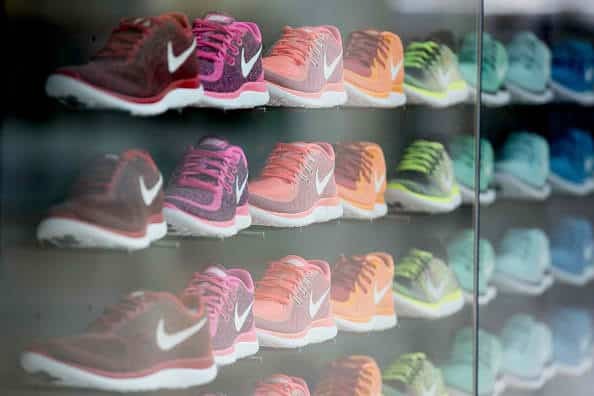 Your past running activities also determine what kind of shoes you need. 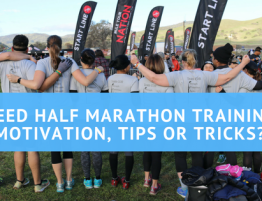 If you’re new to running and you intend to do your first marathon, a more supportive pair of shoes is essential. Runners are classified based on the mileages they cover. 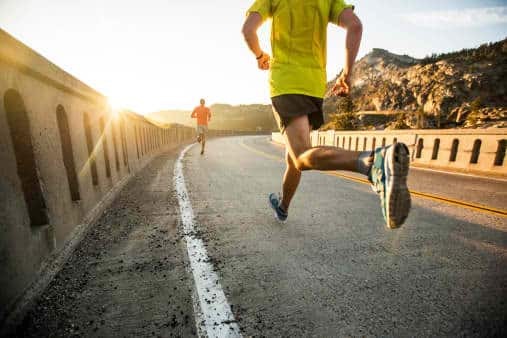 Below 20 miles, they are termed as low-mileage runners, 20-40 miles are medium-mileage runners, and those who do 40 miles a week are considered high-mileage runners. The amount of stability of the shoe and the cushioning relies on the mileages you cover. If you’ve incurred any injury from running, choose a pair of running shoes that is comfortable, supportive, and well-cushioned. From here, you can then progress and gradually change into lighter and more flexible shoes. The best kind of shoes are those that are gentle on your feet. A hurting foot is a good indication that you’re using a wrong pair of shoes. 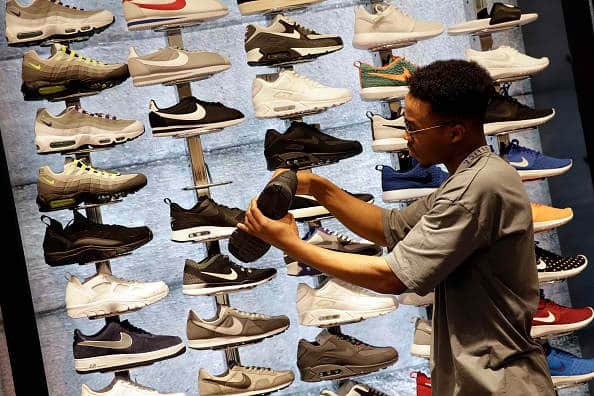 Here’s why choosing the right pair of shoes is important. It is worth noting that wearing the wrong shoes and socks could result in sore feet due to the increased friction on the skin, resulting in blisters. To avoid blisters and sore feet, invest well in a good pair of running shoes. Good pair of shoes for running helps maintain the shape of your toes and feet. If your toes are cramped inside the shoes and can’t move, wearing the shoes for a long time could affect the shape of your feet. 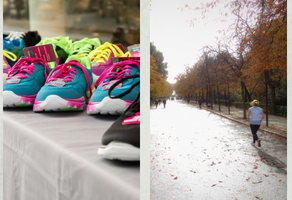 A proper pair of shoes ensures proper foot health with the improved movement of the body. The wrong pair of shoes could affect how you move. You won’t easily notice it but when you wear the wrong pair of shoes, your body will adjust to the shoes and your gait may change. 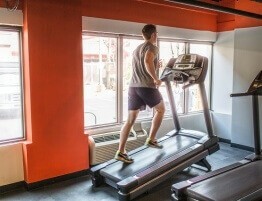 Adjusting your gait to suit the shoe can cause problems to your back and hips. This is because the body is trying to compensate for the discomfort caused by the shoes. Wearing the wrong pair of running shoe can cause serious injuries. It can result in hip, knee, back, and feet problems. People have reported their toes going numb due to tight shoes. Running may help keep you healthy but with the wrong pair of shoes, it could put you at risk of injuries, too. Symptoms include inflammation at the bottom of the feet. It is common among individuals who wear tight shoes. You may have this problem if you notice sharp painsat the base of your heel. The best way to ensure this pain goes away easily is to avoid shoes that do not have sufficient cushioning. This condition involves the inflammation of the Achilles tendons and is the result of insufficient blood flowing to your legs. You may feel some discomfort and notice swelling at the back of your lower leg, slightly above the heel. 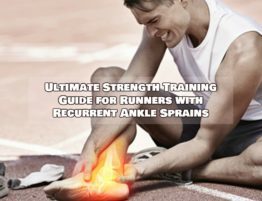 Runners affected by this condition complain of swelling and pain close to the heel and this pain can be debilitating. Unsupportive footwear is a common cause and the best way to avoid this is to always choose supportive shoes. A stress fracture could occur either in the ankle or on the foot. Its symptoms include mild pain that gradually gets worse and arises due to the stress that the feet are enduring. Poor footwear, shoes that are too stiff, and lack of support could increase your risk of injury..
Also known as IT Band Syndrome. 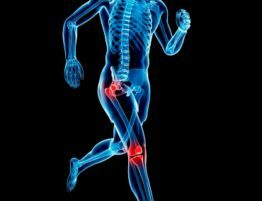 Iliotibial is a tendon that connects the knee and the hip. This syndrome occurs when the tendon is inflamed. You may feel a stabbing sensation on your knee when you run, especially when going downhill. These are bone deformities where the big toe begins to move inwards towards the second toe. They are usually accompanied by inflammation and throbbing pains. They are associated with tight shoes. They are raised and swollen soft tissues that form in between the toes caused by friction and pressure due to wearing tight shoes. On top of basic conditions such as corns, cysts, and ankle irritations that result from tight shoes, nerve irritation is another common issue when wearing the wrong pair of shoes. Neuroma affects the nerve tissues. Numbness could result if this condition is not treated immediately. It mainly occurs on the third and fourth toe and in some cases, you may feel it in your other toes. In extreme cases, you may have to undergo surgery to treat the condition. This condition can be passed down from generation to generation. However, tight footwear can also contribute to it. The muscles become shorter and the first joint of the toe sinks whereas the toe bone raises. The raised joint is usually painful and it hardens after a while. This is a burning sensation around the toes. It arises when your shoes have still soles. ear shoes with sufficient cushion. If you must wear clipped shoes, ensure that the straps allow the toes to wiggle. Tendons can become inflamed in the foot, inside your ankles, or on the outer edges of the foot. This happens when the foot rolls inward and is often a sign that your shoes need more structure. You can avoid many foot conditions by wearing the right type of footwear. Choosing comfortable and well-cushioned shoes when running is essential in protecting your feet and body from health issues. Injuries could be severe and expensive. Thankfully, you can avoid them simply by wearing the right type of shoes.